NB Commentary: After reading this article, I began to think that this whole election hoopla is just another false flag psyops. Something to keep us from looking at what is really happening in our world, and to this planet. We are more oblivious to what is going on around us than ever before. Maybe the hysteria and mania gives us some kind of solace, some kind of euphoric outlet so we can stay in denial that our planet is on a collision course. Well, it won’t be the first time this planet has had dire consequence. The sad part about all this is that instead of it being due to Natural causes, it’s because the human species is doing it. Not that it’s fair to blame all of humanity, but the so-called leaders of the world are doing it in our name. I have been noticing a decrease in insects for the past several years, and while I don’t necessarily care for mosquitoes I have also noticed a decrease in the simple fruit fly. Of course, the lame stream media will not report on these things. It may wake people up and cause a stir. So they continually read their scripted narratives and engage in the mass mind control machine with impunity. It makes you wonder, if they even know what’s really going on. hate in the election debate this year is suffocating, leaving one to wonder what would happen if this much energy were directed toward solving our most pressing collective problems. 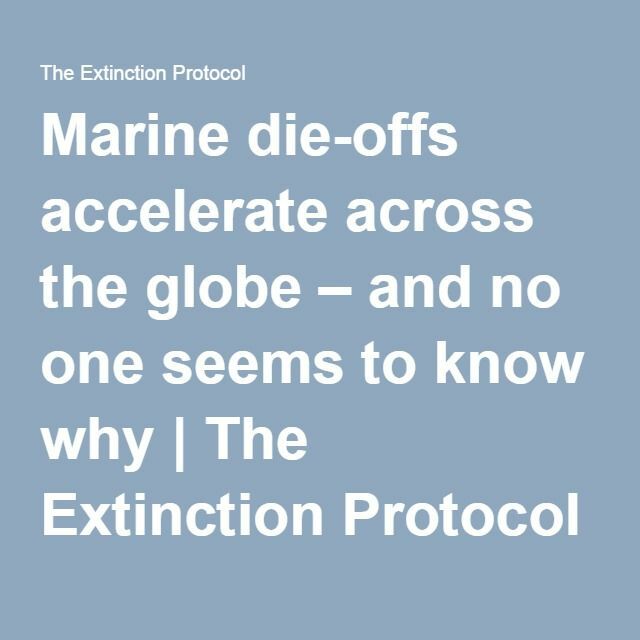 Nothing is more important to life on earth than the condition of our global eco-systems, and in the 2014 edition of World Wildlife Fund’s Living Planet Report, it was reported that 52% of the world’s marine life has disappeared since 1970. Staggering. 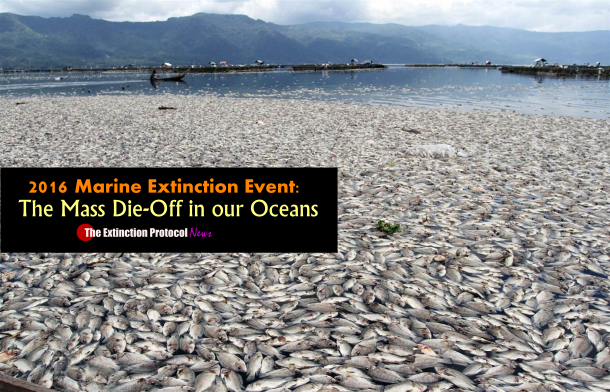 In the years since the report was issued, the world has seen an unprecedented number of cases of mass fish and wildlife die-offs, and the causes of such dramatic occurrences are going largely undetermined. The Pacific Ocean appears to be in greatest distress, leaving many to wonder what negative effects the ongoing disaster at the Fukushima Daiichi nuclear power plant has had on the sea since it began leaking radioactive material in 2011. In 2013, what has been described as a viral plague began wiping out millions of starfish and sea urchins began all along the Western sea board of the U.S., and subsequently spread to the Atlantic. The latest developing mystery on the west coast is a newly discovered type of cancer, which is supposedly contagious and now killing millions of mollusks and clams. When coupled with numerous reports of cancerous tumors being found on sharks, whales and fish in the Pacific, it leads to the hypothesis that radiation is in fact causing severe damage to the chain of life in the Pacific. With no mention of the animal die-offs or the ongoing catastrophe in Fukushima among our leadership, it is clear that no politician or government agency dares address such a frightening issue, leaving the fate of the world’s largest ocean in the hands of TEPCO, the inept Japanese power company. Additionally, massive, continent sized gyres of plastic continue to swell around the world with little to no attention, choking out marine life and birds by the millions, contributing to acidification of oceanic waters and a broad increase in ocean temperatures. 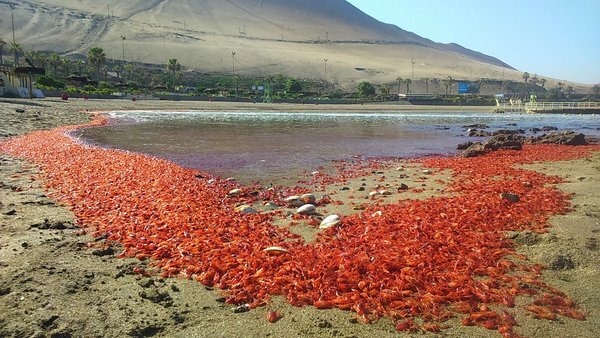 Around the world, reports of fish and marine life die-offs continue to roll in, and it is no longer shocking to see photos of hundreds of thousands of fish, squid, or mammals lying dead on some public beach. 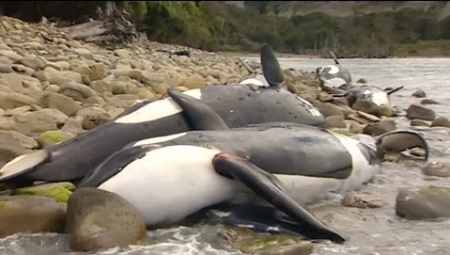 Rather than discuss a plan for resolving some of these issues, the government instead continues to display utter contempt for wildlife as demonstrated by the military’s ongoing plans to murder millions of cetaceans as collateral damage in the effort to test newly developed electromagnetic weapons and next generation SONAR. Additionally, the Olympic Peninsula on the upper west coast of the U.S., the most biologically diverse region in the U.S., has been designated as the testing grounds for electromagnetic warfare programs, causing citizen activists to take up arms in protection of wildlife. Geoengineering projects conducted by the U.S. government are also suspected of heavily impacting life in our oceans. would be relatively easy to curb if only the political will could be mustered to do so, however, it appears that government complicity is at least partly to blame. Priorities in our society are driven by mainstream news agencies, all of which are owned and operated by a mere 6 transnational corporations. Their agenda is set by their corporate backers and influential political entities, meaning that the public’s attention will always be directed toward issues which serve the interests of the corporate and political elite, and away from issues that really matter. For some reason, a healthy marine eco-system is apparently a non-issue for the elite, and while we fall into the trap of divide and conquer, bickering over which andidate is the worst, nothing is done to address the ominous catastrophe developing in our unhealthy oceans. We all knew Hillary was coming, but watching this all happen in real life is like going to see the movie Jurassic Park at the theater, then getting eaten by a velociraptor on the way to your car afterward. For a comprehensive list of global animal die-offs, see the annual lists compiled by End Times Prophecy. is a staff writer for WakingTimes.com and OffgridOutpost.com Survival Tips blog. He is an observer of people, animals, nature, and he loves to ponder the connection and relationship between them all. A believer in always striving to becoming self-sufficient and free from the matrix, please track him down on Facebook.